Welcome to Day 9 of my 12 Days of Christmas. Today’s idea is a simple and creative way to add a little whimsy to the way you display and store wine glasses using a rusty old rake head. With a lot of old rakes the wooden handles aren’t in the best shape and can pull off quite easily. This rake head was already pretty rusty, which I think adds to the charm. However, I did clean it off before I used it. Here is a closer view of the rake with its lovely rusty patina. It’s hangs quite nicely with just one nail. Glasses are hung by their stems and I added a bit of greenery and some of my old vintage ornaments. 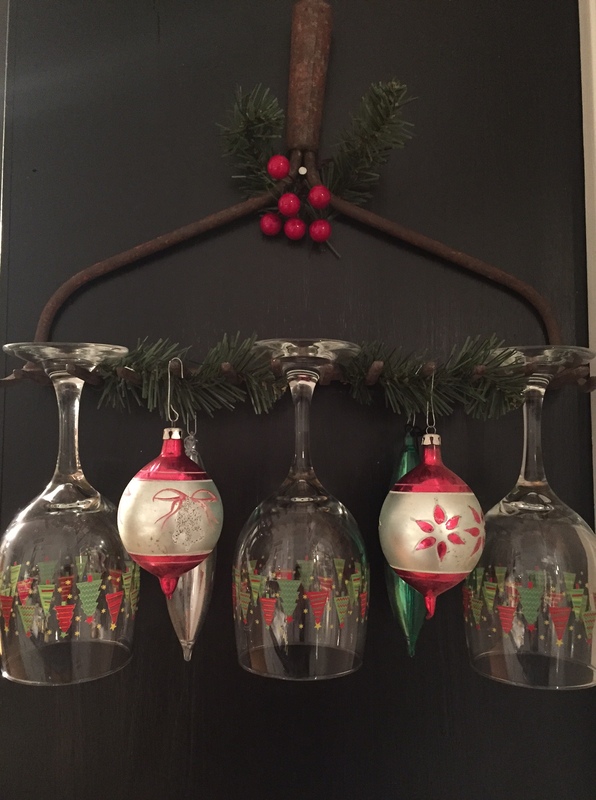 The Christmas themed wine glasses add a bit of charm too – don’t ya think? If you don’t want to display wine glasses, here is another cute idea. 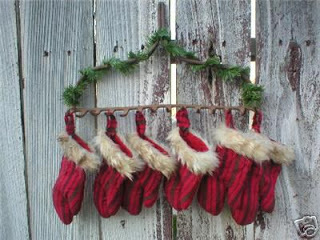 Hang stockings instead. 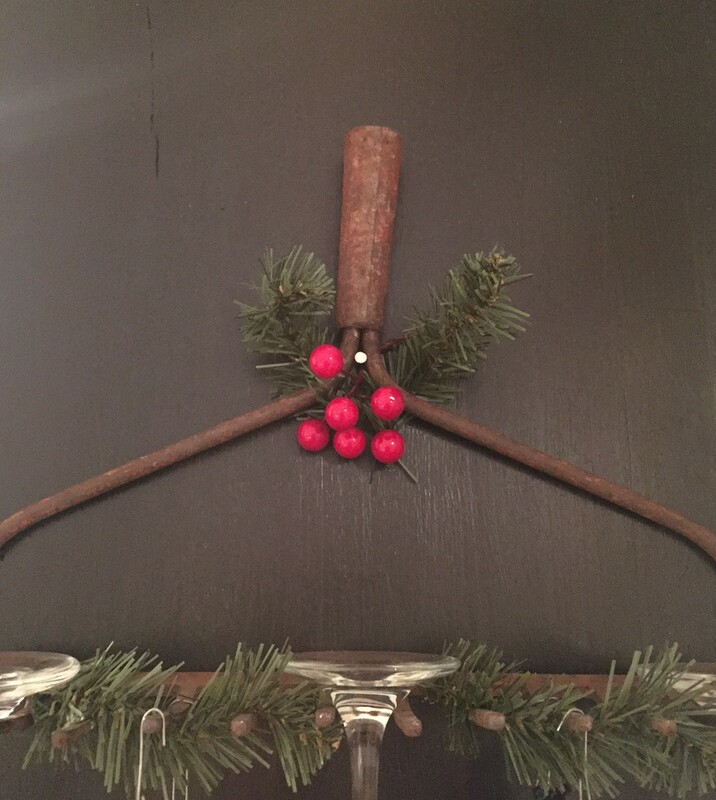 Simple, creative ways to use an old rusty rake head for display. Here is a recap of the last 8 days (just in case you missed one). 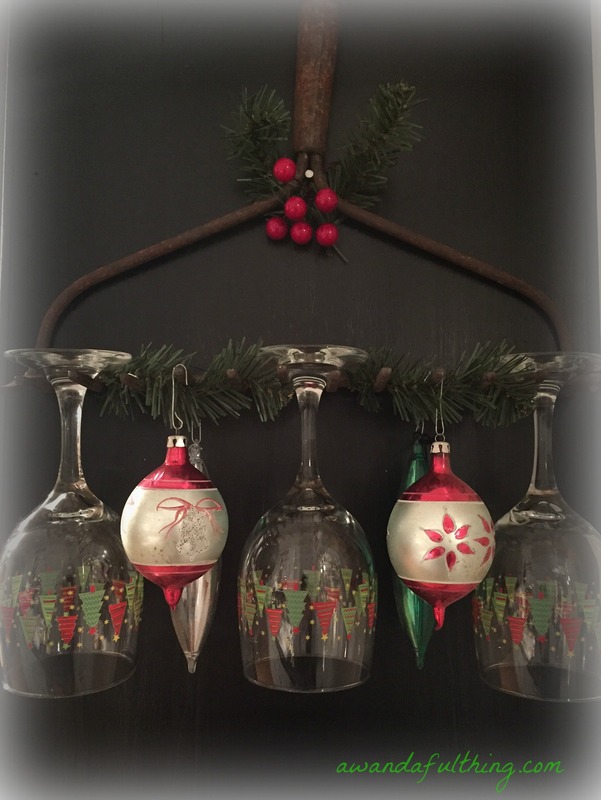 This entry was posted in Decorate, DIY and tagged Challenges, Christmas, Crafts, creativity, Decorate, display, DIY, easy, free, ideas, inexpensive, rake, recycle, repurpose, reuse, rusty, simple, vintage, wine glasses. Bookmark the permalink. Pingback: Best of 2015 | You Can Always Start Now! I love this idea as never enough room for extra wine glasses. Great to show off other displays as well.